All houses are different and require their own amount of work. Our legal fees vary according to what we know about your property and how long we believe the transaction will take. We provide an individual quote based on the information you provide. If further along the transaction we find there is additional work to be dealt with (common issues: unregistered titles, issues with the title on a sale, a garage under a coach house on purchase) we will inform you immediately of the issue and the anticipation increase in fees for your approval to proceed. When there is a leasehold aspect to a transaction, a ground rent or service charge attached to the property, an additional supplement of £150 + VAT is added to the legal fees. Mr. B is selling his freehold house for £160,000 and purchasing a freehold house with Mrs. B for £250,000, no known complications and both with a mortgage. Mr. B is selling a shared ownership property £180,000 and purchasing an unregistered freehold property with Mrs. B for £360,000. How long until we move? A simple, no chain, no mortgage transaction property will take a lot less time than a complex property in a chain (a number of houses being sold between the first time buyer at the bottom of the chain and no onward purchase at the top of the chain). On average we estimate 6 – 12 weeks from when we receive your completed instruction paper work and the contract information from the sellers solicitor to completion. If my property does not complete do I still need to pay? Yes, we will review the time spent on the file and provide a bill. All 3rdparty payments will be included. If we are able to recoup costs by selling searches to a new buyer we will refund you by this amount. Who is dealing with my file? Emily Goringe will be dealing with your file with the help of an assistant. This is my first time selling / buying, what happens? Deal with repayment of any mortgages, agents fees etc. 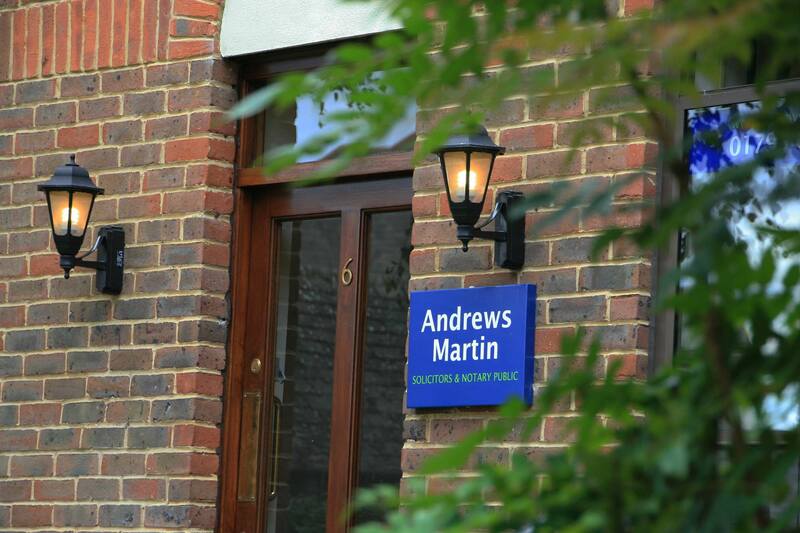 For more information on Transfer of Equity, remortgaging, Declaration of Trust or other conveyancing matters please contact solicitors@andrewsmartin.co.ukor call 01793 641707. Probate and the Administration of Estates means the collection and distribution of the money, property and personal belongings of a person following their death. During the administration of an estate, all the money and property belonging to the person who has died is identified, a grant of representation (Probate or Administration) is obtained if needed, and all debts and other liabilities of the person who has died are cleared. This will include any inheritance tax, the costs of the funeral and associated expenses, the probate registry fees and any outstanding debts such as care fees, unpaid bills, credit card balances etc. When all liabilities have been cleared, the remaining funds are distributed to the beneficiaries under the terms of the will, or if there is no will then in accordance with the rules of intestacy. The fees charged are dependent upon the number of bank accounts and investments (the number – not the value), houses, and other assets in the estate, including any overseas, and the number of debts and liabilities. If there are a number of family beneficiaries and/or charities named in the will to inherit then this can also affect the overall costs. The general reasons for increases in our charges are where the family members are arguing or where a claim against the estate is made by someone who felt that they should have been included in the will and is disappointed not to have been. When you ask us to help you to deal with the estate of someone who has died we always ensure that you are given full details of our pricing and an estimate of our fees for completing everything for you. We also tell the people who will share the bulk of the estate (ie what is termed the ‘residue’ after all debts, expenses and specified gifts have been paid). We specifically do not charge on the basis of the value of the estate and, despite what you may sometimes see suggested, we do not charge a percentage uplift on our fees. Typically it takes between 4 to 6 months to complete a straightforward administration where there is no house to be sold, but in more complex matters it will take longer to complete all the procedures, and satisfy HM Revenue & Customs that all tax has been accounted for. If there is a property in the estate that is to be sold then delays in finding a suitable purchaser at an acceptable price will also hold up the completion of the administration. We always try to be realistic when estimating how long an administration will take and we update you regularly. 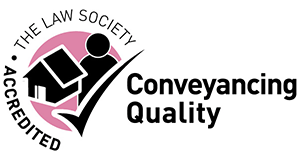 Any property sales or transfers into the names of the beneficiaries will be dealt with by our Conveyancing department and our standard conveyancing charges apply. Again you will be asked to agree these charges direct with that department at the time that the house is put on the market for sale, or if the beneficiaries so wish, when we are ready to transfer the house into the names of those who inherit. There are expenses associated with dealing the administration of estates, including the Probate Registry fees which from May 2019 are charged by the Probate Registry on a sliding scale depending upon the net value of the estate. The fees are paid at the time that the application is sent to the Probate Registry.